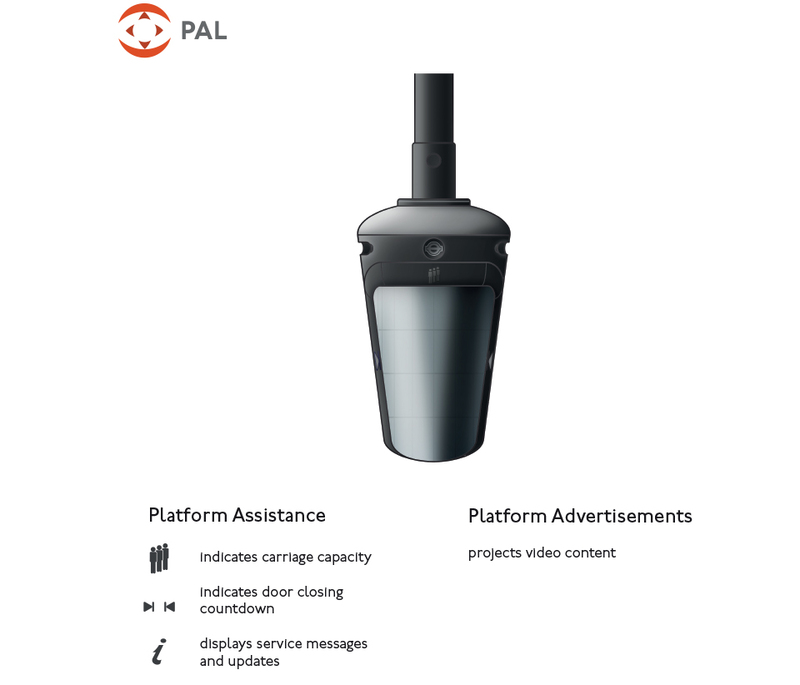 PAL is a lighting beacon for use on the London Underground. It is an all-in-one unit for displaying information about your train and tube line. It can also show video advertisements on your platform whilst you wait. 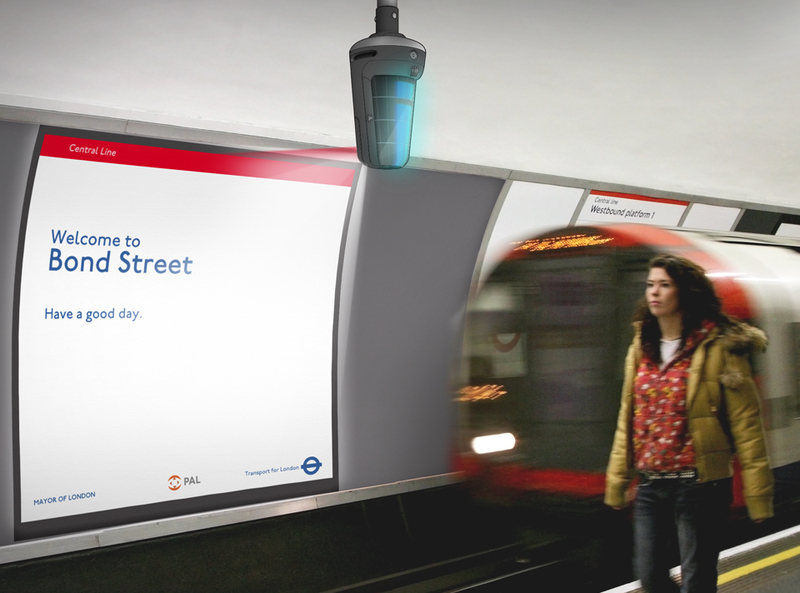 The concept aims to help commuters use the tube more efficiently by offering better visual information. 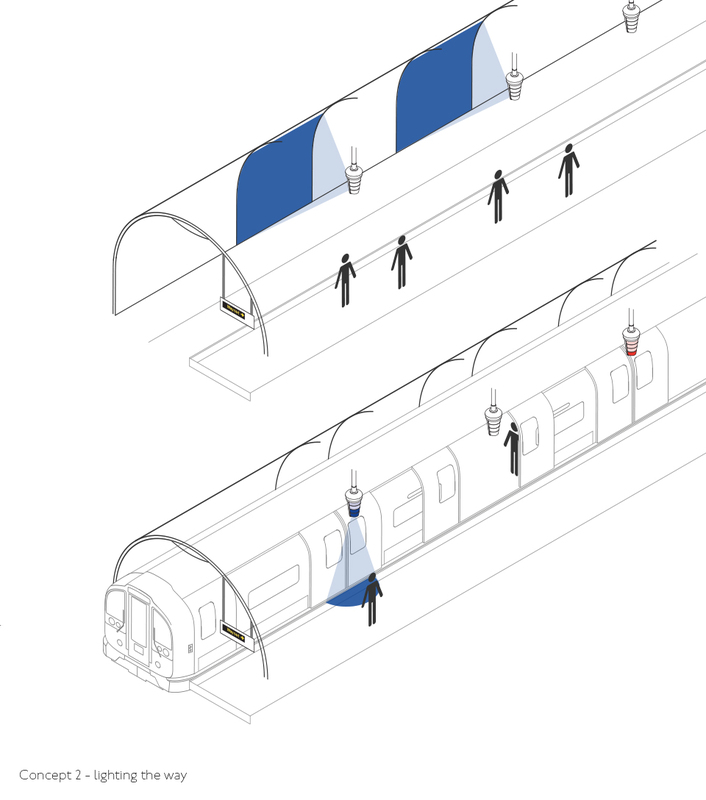 The project investigates passenger behaviour on the London Underground. 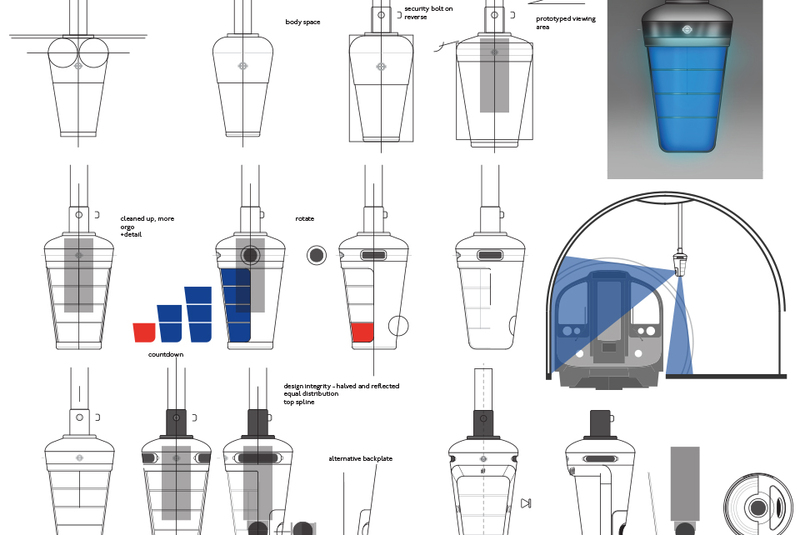 It is a response to ‘The Good Journey’ brief for the RSA Student Design Awards 2011/12. Deciding to look into rail travel, I spent a day taking notes on the tube and in some of the London’s busiest railways stations. I observed people throughout the day and was interested in how they reacted to the environment and how they behaved towards others. With this design direction I began exploring ideas and scenarios. 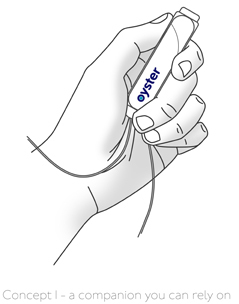 One early concept (left) involved experimenting with a different form of Oyster pass. This opened up more ways of interacting with the Underground. An electronic pen concept where users tapped and drew on tube maps to plan and pay for journeys was a popular idea. It also featured a timer graphic that would update at each checkpoint and let the commuter know estimated journey times. An early concept that developed into PAL involved marking areas of the platform with coloured light to indicate where passengers should stand, move or look. 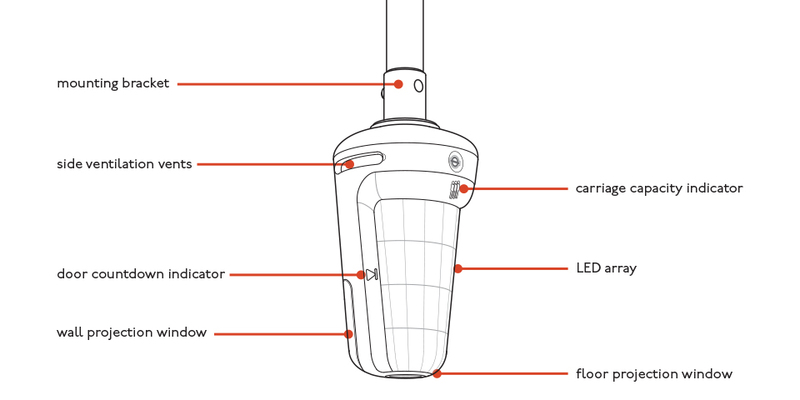 The placement of the light source and how it should operate eventually developed into the lighting beacon concept – a signal light hung from the platform ceiling. PAL is positioned above the tube carriage doors and can project onto the cross rail wall. Video advertisements and service messages are displayed and allows the platform to connect with commuters. Not all platforms are the same, PAL would be best used on some of the deep-level lines where the environment can be disorientating and congested. The aim was to allow the platform to adjust naturally and evenly. Transitions between stations would flow better and the platform would become more lively and informative. This design approach helped establish a feasible concept in terms of aesthetics, function and market suitability. The design had to conform to the strict TfL design guidelines – these can be found through their corporate site and involve not only product aesthetics but interfaces, disability issues, security, cleaning and tooling. During development it was important to test and evaluate features. This can be achieved through storyboards (above) and flowcharts. However, it was critical to gather real-world data and involve real people at key stages in the development. A projector connected to a laptop was set up in a large studio space. A portion of an underground station could be replicated onto the wall at full scale. Carriage sizes, graphics and signage could be placed into this environment. Usability tests were performed to evaluate the concept. Any changes to the product could be adjusted in real time and verified with many different users. Details such as visability, colour schemes and order of operation were adjusted to meet user expectations. Underground noise was also played out through loudspeakers to simulate atmospheric conditions. A short animation was created to illustrate how PAL works.